Yael won her first appearance on Movie Fights during the 2nd "Debut Deathmatch" tournament of new fighters. Yael has appeared multiple times on Screen Junkies Plus' TV Fights. Yael shares her Holiday Gift Giving Guide with Maria Menounos. 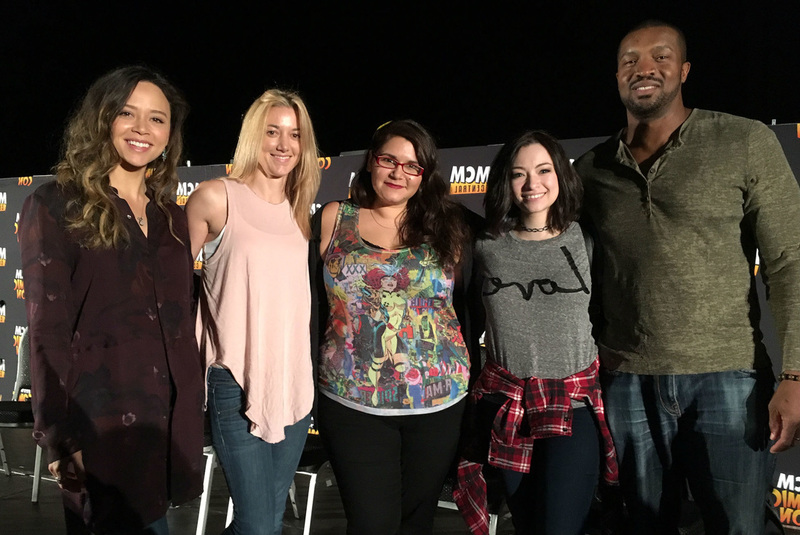 All star line-up of TV women at MCM London Comic-Con 2015, including Felicia Day (The Guild), Willa Holland (Arrow), Victoria Smurfit and Merrin Dungey (Once Upon A Time) and more! Watch Yael Tygiel moderate the Dark Matter panel here. Yael was a guest on May the Day on Indie100. Yael debates #DropThePlus on Canadian Radio. Yael's interview with Doctor Who star Jenna Coleman at SDCC 2015 was featured. Yael moderates the MCM Buzz Live Stage at MCM London ComicCon, October 2015. Watch the interviews here!